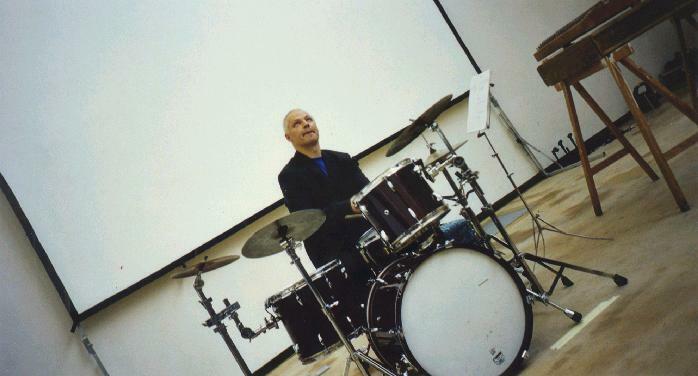 Gilbert Paeffgen, native of W�rzburg,Germany, began drumming when he was 14 years old. After his first experiences in various groups with a style of music called Krautrock, he moved at the age of 21 to Berne, Switzer-land. From then on he started his professional career, first on the drums as his first-choice-instrument. Later on he was to play besides the drums also balafon, hammered dulcimer and bodhran. 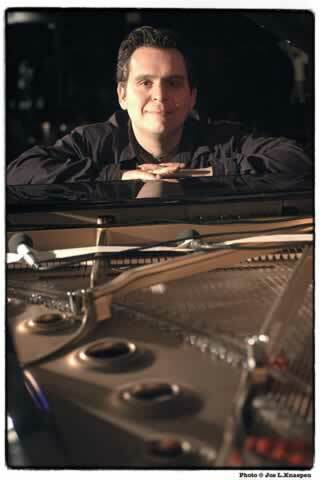 Gilbert Paeffgen was founder- member of the group Free Funk Trio, Aventure Dupont in 1983, a trio with Vinz Vonlanthen and B�nz Oester, which performed between 1983 and 1993 more than 500 concerts all over Europe, released 4 CDs and became eventually one of the export articles (Les genies des Alpages � Le Soir, Bruxelles, 1989) of the Swiss Jazz/Musicscene. 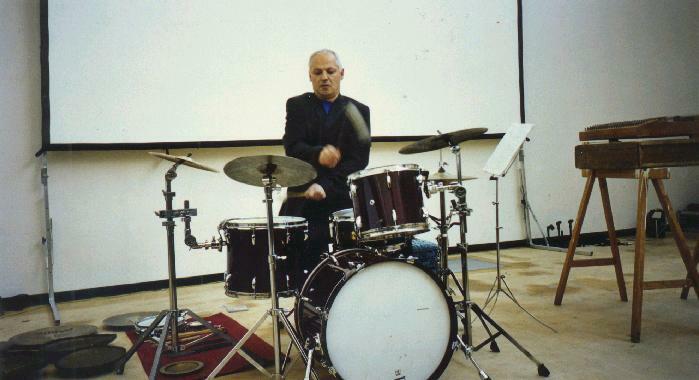 Between 1983 and 1990, Gilbert Paeffgen entered, together with the multi-percussionist Tini H�gler, new and adventurous fields, exploring percussion music between Ethno and Noise. They also performed some hundred concerts, released two CDs and accompanied the Zimbabwian mbira (thumb piano) master player, singer and dancer Taffaney David Gweshe. 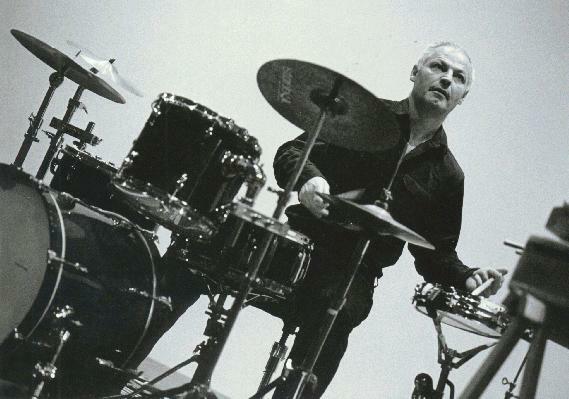 In 1988 Gilbert Paeffgen lived for one year in Amsterdam, where he established contact with some of the finest Dutch jazzplayers such as Ben Herman, Mike Del Ferro and Tony Overwater. From 1991 to 1995 he joined the trio of the traditional Irish singer Shirley Grimes: The CD Songs of seas and ferries became one of the most successful and best sold CDs of the wellknown Swiss Zytglogge-label. This trio had a great success in 1992 at the Gurtenfestival Bern. In 1997 Gilbert was asked to be mentor of the wellknown Migros New Jazz Festival. His group received excellent critics and was chosen, as the most convincing project, to participate at the Schaffhausen Jazz Festival. Since 1994 Del Ferro/Overwater/ Paeffgen Acoustic jazz trio (two CDs Evening train and Dices). Since 1996 Gilbert Paeffgen - Joe McHugh, Hammered dulcimer meets Uillean pipes (CD Offshore). Since 1997 Shirley Grimes' New quartet CD Ode). The instruments I play are the drums, an assortment of different percussion instruments, the hammered dulcimer and the bodhran. 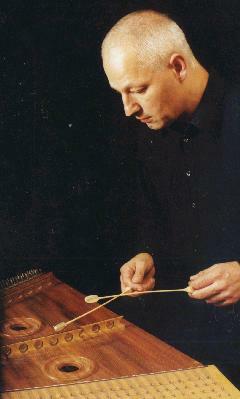 The hammered dulcimer is also called �Appenzeller Hackbrett�. The bodhran is an Irish framedrum, well-known for its unique percussion sound. Assorted Percussions: I love to find different sounds on the drums and next to the drums and to integrate them into the musical process. Both my interest and my taste are not fixed on one certain specific type or style of music. Actually already at the beginning of my career I started immediately a journey,where I seek my musical identity: I always felt extremely attracted to,and inspired by, various kinds of Ethnic Music, thereby especially African and Celtic Music. In different groups and projects, with different musicians and artists from different angles I combine these ethnic influences with rock,avantgarde and jazz. I released music with Irish Uillean pipes or an Irish singer as well as I recorded music from French classical composer Gabriel Faure .I perform and record with a jazz-piano trio as well as I am asked as soloist for a classical orchestra work, as backup for a French singer which sings in Patois ( old swiss-french dialect ) or as studio- or freelancemusician. Beyond that I am active as composer and conceptor. Georgios Antoniou, Teddy B�rlocher, Christoph Baumann, Marcel Bernasconi, Marc Bertaux, Michel Besson, Antonio Breschi, Chicken Chee, Fee Claasen, Lindsay Cooper, Mike Del Ferro, Paolo Fresu, Chl�isu Friedli, Mich Gerber, CharlieGreen, Howard Griffiths, Shirley Grimes, Taffaneyi David Gweshe, Tini H�gler, Glen Hahn, Werner Hasler, Tinu Heiniger, Barbara Hendricks, Ben Herman, Joe Mc Hugh, Sylvia de Hartog, Thomi Jordi, Sylvia Jost, Vera Kappeler, Herbi Kopf, Oli Kuster, Philipp L�ng, Urs Leimgruber, Patrick Lerjen, Don Li, Urban Lienert, Woody Man, Michael Moore, Patrice Moret, B�nz Oester, Daniel Ott, Jaqueline Ott, Tony Overwater, Oyeah, Alexander Paeffgen, Hans Peter Pfammatter, Roland Philipp, Die Regierung, Laurence Revey, Stephanie Riondel, Brigitte Sch�r, Urs Peter Schneider, Ramesh Shotham, Marco Siero, Jeff Sicard, Laszlo Spiro, Christoph Stiefel, Signorino TJ, Daniel Spahni, Jonas Tauber, T�bi Tobler, Eric Vloeimans, Nicolas Thys, Vinz Vonlanthen, Peter Waters, Christian Wolfarth, Wege W�thrich, Matthias Ziegler. And others.